A 45-year-old man who was being sought by police in relation to an incident in St Patrick’s Church, Portadown, on Friday has been arrested. Martin McGill is due to appear in court this morning (Wednesday). The charges allege that he robbed £100 from a 74-year-old woman, attempted to steal donation money from St Patrick’s Church in Portadown, possessed a weapon, namely a crowbar with intent to commit robbery, and went equipped with a crowbar for burglary or theft. 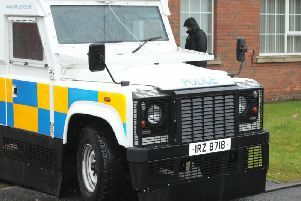 He was due to appear at Lisburn Magistrates’ Court on Monday but failed to do so and a warrant was issued for his arrest.